Aretha Franklin, Count Basie and Booker T & the MGs are among the performers named as inductees to the Blues Hall of Fame. The Blues Foundation announced this year’s honourees on Friday. An induction ceremony is scheduled for May 8 in Memphis, Tennessee. 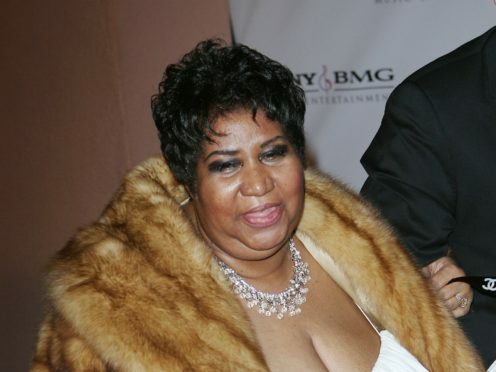 Known as the Queen of Soul, Franklin also performed blues and gospel songs. CONGRATULATIONS 40th BLUES HALL of FAME inductees! Many of Count Basie’s songs were rooted in Kansas City blues. Booker T and the MGs’ blues-soul-rock sound was created at Stax Records in Memphis and has influenced countless musicians. Classic recordings also are being inducted, including Rollin’ Stone by Muddy Waters, I Got A Woman by Ray Charles and the Elmore James album The Sky Is Crying. Guitarist Pee Wee Crayton and vaudeville blues entertainer Ida Cox also will be inducted.